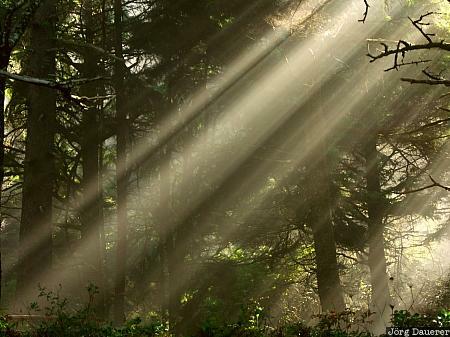 Light beams on a misty morning in Ecola State Park near Cannon Beach, Oregon, United States. This photo was taken on a sunny day in October of 2004. This photo is part of the exhibition Landscape Fog (October 2008). This photo was the image of the month in March of 2015. This photo was taken with a digital camera.